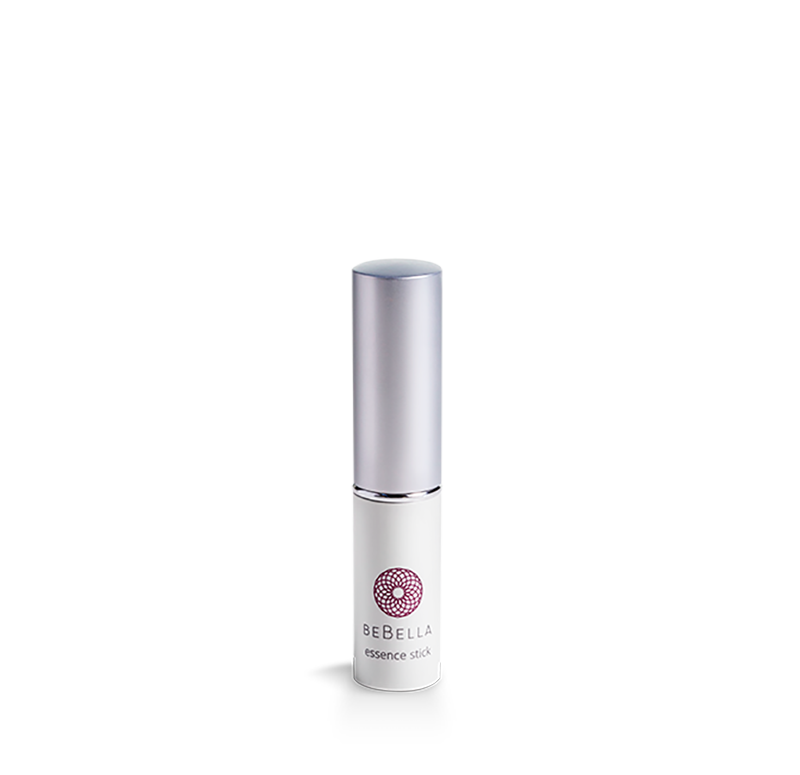 The BeBella® probiotic Facial Essence Stick is perfect to refresh the look of the woman on the go. It is our Essence formula with the added punch of lifting lipid polymers packaged in a novel easy to carry lipstick style container. Apply directly to reduce your puffy eye area or to soften your frown lines. The Essence instantly absorbs without smudging over makeup and without leaving a greasy residue. We love using this product especially after a long plane trip since it provides almost instant soothing results. I carry my facial essence stick in my purse all the times. I noticed immediate change under my eyes. This product really works! It’s been almost 4 months since I started using these products and I absolutely love them! They work! Refreshes. Reduces the appearance of fine lines and puffiness around the eye area. Aids in providing an even skin tone by encouraging rapid cell turnover. My friends had me try this facial essence stick and I noticed an immediate change with the lines under my eyes. I’ve been using this now for about 6 months and have received numerous compliments about my skin looking younger. This product is incredible! The facial essence stick is amazing!!! Living in Utah, the cold and dry weather can really take a toll on my skin. Since I started using this product about 8 months ago, I have noticed the significant difference it has made in reducing the fine lines on my forehead and around my eyes. One thing I love about it is how versatile it is. I can apply it before or after my makeup and the size is perfect for travel! I live by the facial essence stick and simply will not leave the house without it! I recently suffered a chemical burn on my face, from a known hair remover. Needless to say my skin was beyond inflamed and irritated , being a woman of color it can be hard not to blemish my skin. But I applied the essence stick to the burned areas and in minutes the burning stopped completely. The swelling went down and the area was no longer an angry red color. The next morning i had no blemishes or skin discoloration. This was Friday July 28th 2017 that I burned my skin. It is now Thursday August 3rd almost a full week later and i have no scarring, blemishes or any sign of a chemical burn at all!!! I love, love, love this product. It goes on silky smooth,is not oily and is absorbed quickly, leaving skin looking and feeling radiant. Thank you BeBella! The facial essence stick is a perfect pick-me -up for my busy schedule. It carries easily in my bag ready for a quick swipe under the eyes instantly leaving me feeling hydrated and energized to meet the challenges of my day with confidence. I wear contact lenses and usually avoid getting any cosmetics near my eyes, but this product leaves no greasy residue to my face or eyes. The stick feels like a fresh breeze on my face!